Mumbai: Last week, when the world’s richest man formally announced his divorce, the focus soon shifted to his wealth. How will Amazon founder Jeff Bezos and his wife split the money? Who will get how much from the estimated whopping $136 billion? Many would disagree, but the truth is money talk is extremely important in any marriage. And if you were thinking that it is meant for the richest 1% of the population, it is not. In fact, money is one of the major reasons for marital distress across economic strata. Let’s look at three money issues encountered by couples and how to get out of it. 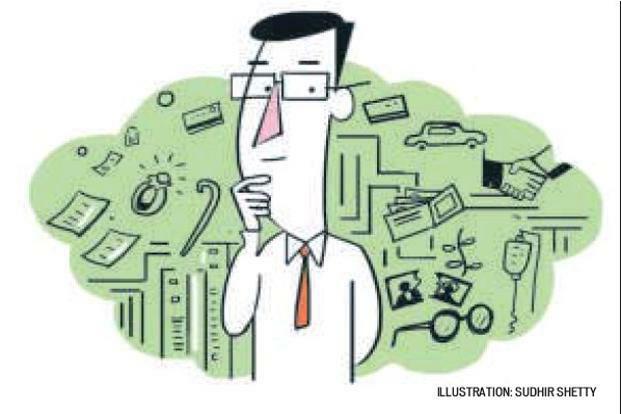 A 68-year-old Mumbai-based businessman has a problem with handling debt, which has been the main cause of distress in his household. A year ago, he got hooked to credit cards and currently has an outstanding amount of about ₹4 lakh on four credit cards. Since he has no regular income, the debt has been piling up at 39% interest rate per annum. Besides the credit card debt, he also has a loan against a property of ₹20 lakh. His wife doesn’t work and is completely dependent on him. If you are not financially independent, your spouse’s inability to handle debt can take a toll on your life as well. Hence, it is important for both partners to be involved in the day-to-day money management process. Lack of financial compatibility can lead to stress especially in old age. Couple of months ago, on a winter evening, a friend’s husband happened to bring home a BMW. Clearly, the friend wasn’t ready for a luxury car, with the added burden of an equated monthly instalment (EMI) for a depreciating asset, which lost 30% of its value as soon as the car was driven out of the showroom. A few days ago, a quarrel broke out in the same household over skating classes their child was taking. It turned into a blame game and the wife was quick to retort that if the husband can spend half a crore on a car, why can’t she spend ₹8,000 per year on skating classes for their three-year-old son. A difference in how you view money can also affect you. If you want to splurge and if your decision is going to have a financial impact on your spouse, it is important to have the discussion and put a spending limit that both can agree to. Almost a year ago, a friend lost his job in an event management company as the company he was working for made some losses. His wife, who works for a school, had to back him up for the period he was out of job. Just last month, he joined another company at a lower salary. In the last 12 months, the marriage has gone through a rough patch as no one had prepared the couple for an emergency. Remember that life is unpredictable and hence, you need to be prepared for it. Build an emergency fund that can take care of your expenses for at least six to 12 months in case you don’t have income due to job loss or illness. Money, for some reason, has a negative connotation when it comes to emotional relationships. It is time to overcome this and look at it more closely, so that you don’t rock your relationship boat.